Turdus melanops Latham, 1801, Port Jackson, New South Wales, Australia. English: Black-faced honeyeater, golden-tufted honeyeater; French: Méliphage cornu; German: Gelbstirn-Honigfresser; Spanish: Melífago de Moño Amarillo. 6.5-8.3 in (16.5-21 cm); 0.8-1.3 oz (22-36 g). Black head with yellow crest to nape and chin to throat. Grayish underparts and dark secondary wing feathers fading to yellowish primaries. 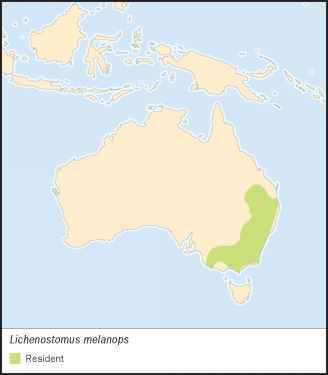 Southeastern Australia from southeastern Queensland to extreme southeast South Australia. One well-defined subspecies (L. m. cassidix; helmeted honeyeater) near Melbourne has been regarded as a separate species, and several other subspecies exist. Woodland and open forest dominated by eucalyptus, typically with well-developed understory and often in gullies. Sometimes in heathland, mallee, or woodland with native pine. Often found in loose colonies in which birds may cooperate to drive out other honeyeaters and small birds and mob predators. Mostly sedentary although some movements occur. The single note calls tsup or see emitted frequently may act as a territorial call. They also emit a trilling flight call. Noisy calls when birds gather into corroborees. Take insects, lerp, and manna from eucalyptus foliage and sometimes exudates from trunks and branches. May sally and hover. Also take nectar from eucalyptus and shrubs and occasionally eat fruit. May breed throughout the year but mostly September to November. Apparently monogamous, though with helpers at the nest. 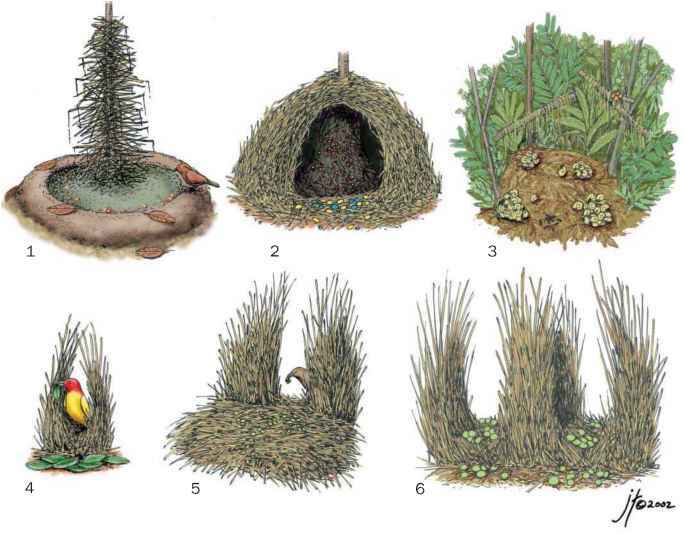 Nests are in shrubs a few feet above the ground. Usually lay two eggs (occasionally one or three). Females do most incubation, for about 15 days. Young are fed by both parents and helpers on nectar and insects and fledge at about 16 days. Critically Endangered helmeted honeyeaters are confined to one population of about 100 adults east of Melbourne. Other subspecies are not threatened.